Mosaics are an Ancient Invention and are sometimes used as Artwork, but recently they have seemed to come back in to fashion in the Tile Industry, by replacing off cuts of little pieces of tile with squared and purposely shape pieces of Glass, Ceramic, Porcelain, Metal and stone, to create a very modern look that really catches the eye. 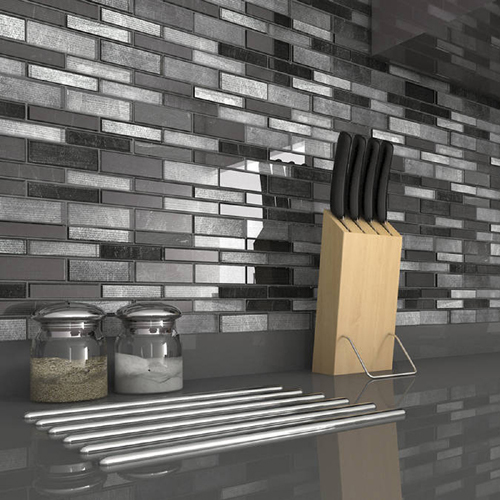 Being used as Feature Pieces in Showers, Back Splashes in the kitchen, flooring mosaic tiles can be used almost anywhere. 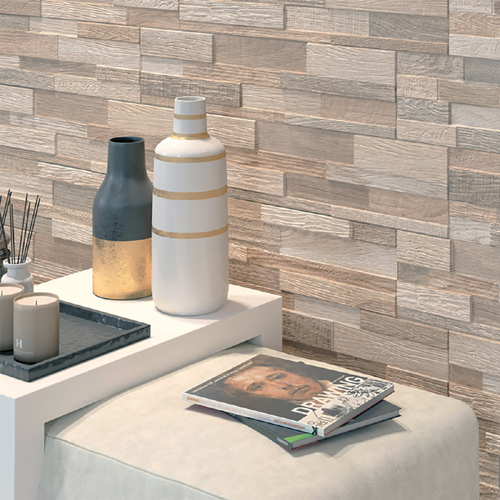 They are very popular as bathroom wall tiles or even bathroom floor tiles. However with a Large quantity of grout joints, we always recommend Grout Protector be used when using a large quantity of Mosaic Tiles. Mosaic tiles are aesthetically pleasing on the eye and here at Tile choice we have a wide selection of mosaics to suit any home. What is the first thought that comes to your mind when you hear of the word ‘Mosaic’. Something artistic and aesthetic right? Mosaics are world famous for their design appeal. As the history of the Mosaic is concerned, they are an ancient invention that has never gone out of fashion! Be it your kitchen, living room, bathroom, floor tiles, wall tiles, outdoor tiles or anywhere you want these tiles can compliment every place to perfection. 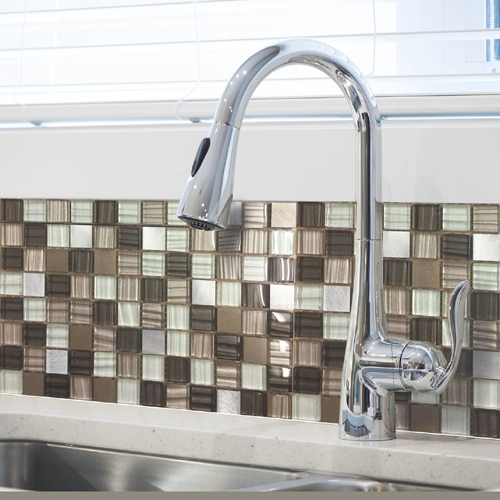 Mosaic tiles can make a beautiful addition to an otherwise plain tile breaking up the monotony whether used as a border, backsplash or feature panel. 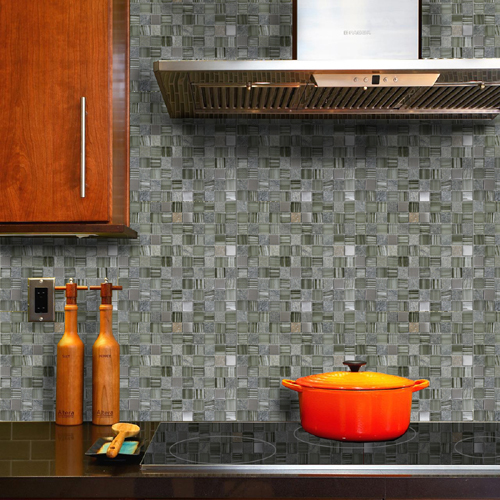 Many interior designers use mosaic tiles to add diversity and versatility to their designs. Mosaic tiles are more than just tiles, they can look like a work of art when applied in the right settings, and they are incredibly popular in the design industry. They are available in many different colour combinations and materials such as glass, porcelain, stone, metal and ceramics. With the combination of different materials being used they add another dimension to the room with the varying textures. 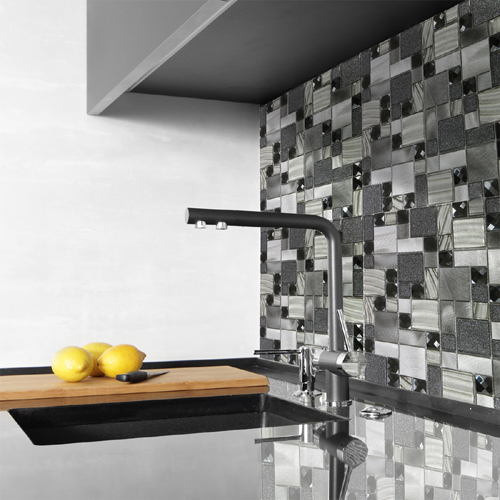 Let your imagination run wild, mosaics can be used anywhere throughout the home although they are most popular used as a backsplash in the kitchen, feature panels in shower and living room flooring. They are durable and will last for decades if installed and cared for correctly. Tile Choice offers you an exceptional range of mosaic tiles with extraordinary aesthetics and technical features; each design in our collection is handpicked making us one of the top destinations online to shop for mosaic tiles. 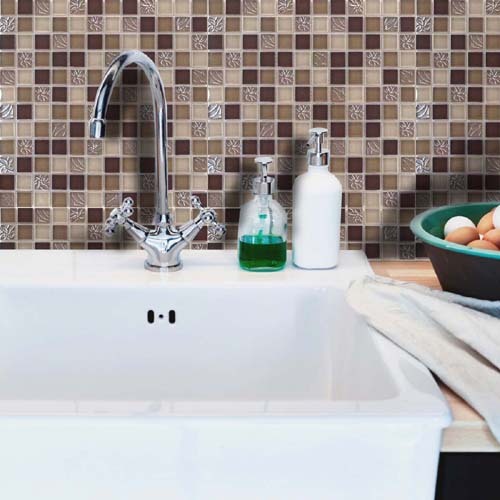 We only sell mosaic tiles which are highly resistant to abrasion, frost and impact. They are perfect for use indoors and outdoors and at home or commercially. We want our customer to be happy with the finished look in their home so we always recommend a grout protector to be used when suing a large quantity of mosaic tiles due to the sheer volume of grout joints. 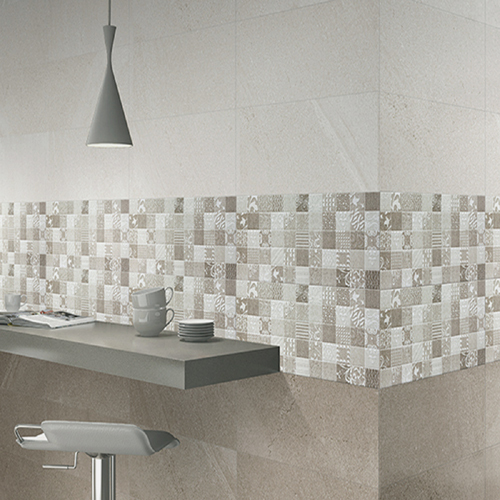 Our tiles are ideal even for decorating surfaces and adding a special designer touch to your interiors. Free samples are available. Call us today for any more information and we will help you out with your selection. Free delivery is available on orders above £250. Copyright © 2019 Tile Choice Limited. All Rights Reserved.